Similar to PCT-02 pallet cage but only half the height, or 445mm deep. 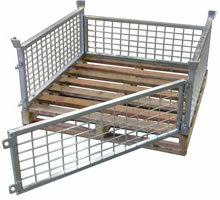 This pallet cage is fitted with removable hinged front and rear gates, which are easily opened for access even when stacked. Supplied flatpacked with a standard rated pallet 1170mm sq. 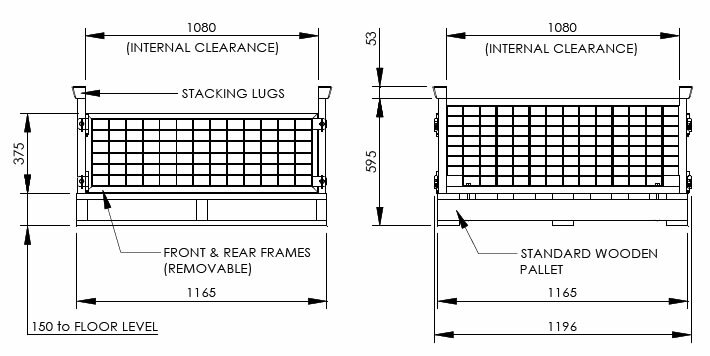 Load capacity 1,000kg and can be stacked 4 high.